SJ. Remind me about your background in the industry? BD. From BAE, with whom I spent ten years on aircraft, I joined Walter Alexander in 1996 as Materials Supply Director. Within a year I was Production Director running all the manufacturing. In 1998 I was asked to go and rescue a Mayflower business in the US called MetroTrans that had been acquired in the run up to the acquisition of Dennis as a potential US base. To be frank, the business was pretty close to being insolvent, and I had to out and restructure it, staying there for six months. I was in the frame to go to the US to work on the joint venture with Thomas Built but I sat down with the late, great, Bill Cameron and together we decided it wasn’t a great idea, which was pretty wise advice as he predicted it would end prematurely and he was right. I stayed in Falkirk and took on the role of Commercial Director until the merger of Transbus and Henlys in late 2000. I was offered the job of Assistant Sales Director which I turned down. After having decided to leave the business I discussed the situation with John Fleming, then Chairman of Transbus and he asked if I would look at saving the Plaxton business as shutting Scarborough had been proposed with the bus building moving up north. While closure was a definite option, there was the conundrum of what to do with the coach business and I believed that the business could be turned round. Over the next year we had to let 500 people go. It was all voluntary and we had more volunteers than we needed. That’s where the confidence levels were. I had to reduce the size and cost of our management team, as our structure was unaffordable. I took a gamble on the young managers there. What I banked on was enthusiasm and attitude. It meant I had to take a really heavy coaching role for the first few months. We used to have a management meeting twice a day. It was all about rebuilding the factories and rebuilding the business, fixing the problems with the product and the quality, getting the vehicles ready for the show and getting the new production layouts done. Bill Cameron had left the business at the Mayflower merger, John Smith had retired and they appointed a new CEO. At that point I realised it was time for me personally to move on as by then we had significantly turned round the Plaxton business. I felt that the Transbus business had to face up to hard decisions and it wasn’t running at a fast enough pace to make decisions, for example on the overall capacity of the business. Capacity was going out of the industry because demand was going down at the time, you’re talking about 2002-2003, they had Wigan, Falkirk and Belfast and they had to start making decisions. I believed we had to take the harder decisions much sooner. I left and after six months was invited to come back as MD, but I was reluctant to accept the role at this time. I went back as a consultant and for four or five months helped to start the work on the aftermarket that was later picked up by Alexander Dennis. A few months after Mayflower went into administration and within 24 hours we had an offer in for Plaxton. What the market doesn’t know is that two or three weeks before administration I’d put in an offer for the solvent Plaxton business that was higher than we eventually paid. Whether that offer was communicated to the banks I will never know. 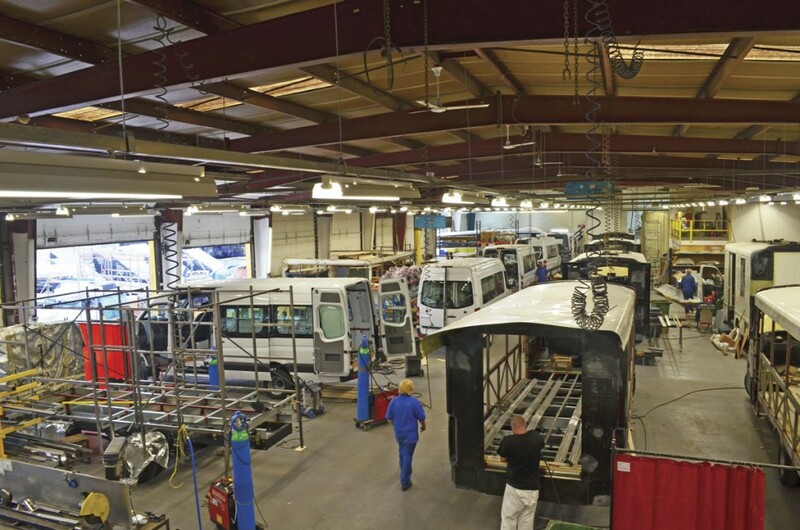 We acquired Plaxton and grew it from £40m to £70m turnover in three years and an EBITDA figure of £4.5m. We could sense liquidity in the market was drying up a bit in 2007 which could have affected our ability to grow the business further. We were in dialogue with various parties about a sale, with one primary party, but those talks broke down. We then spoke to ADL who needed capacity. 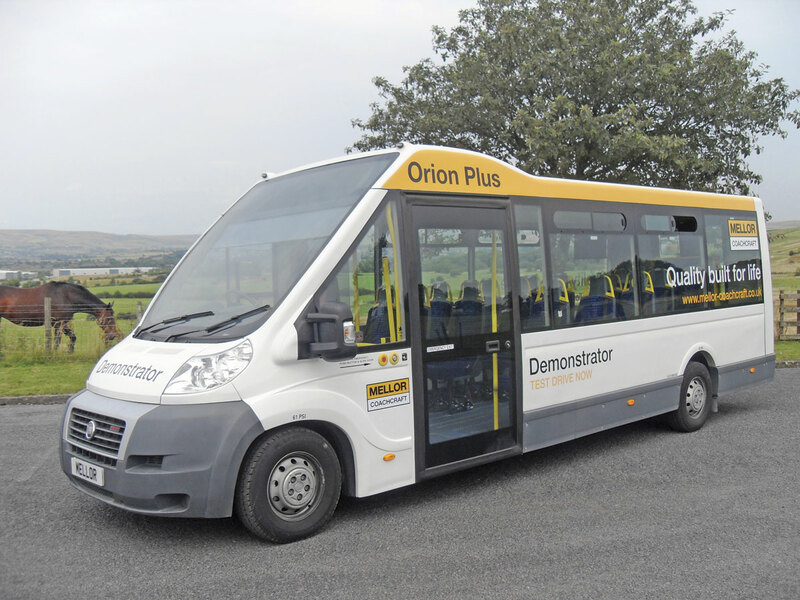 One of the aims was to get volume bus manufacturing to Scarborough. I’m delighted for the guys at Scarborough where they are now, and the folks at ADL as well. The Scarborough team is fantastic in terms of flexibility, attitude, economics and quality. If you look at the factory it is probably one of the most flexible for its size anywhere. They want to set up a double deck line, they do it in less than six months; they want to set up a new three axle double deck coach, they do it in six to nine months, and even amongst the big boys I don’t know anybody who can do that, come out with such a quality outcome and make money doing it. I’m proud to have helped them along the way with some of that thinking. 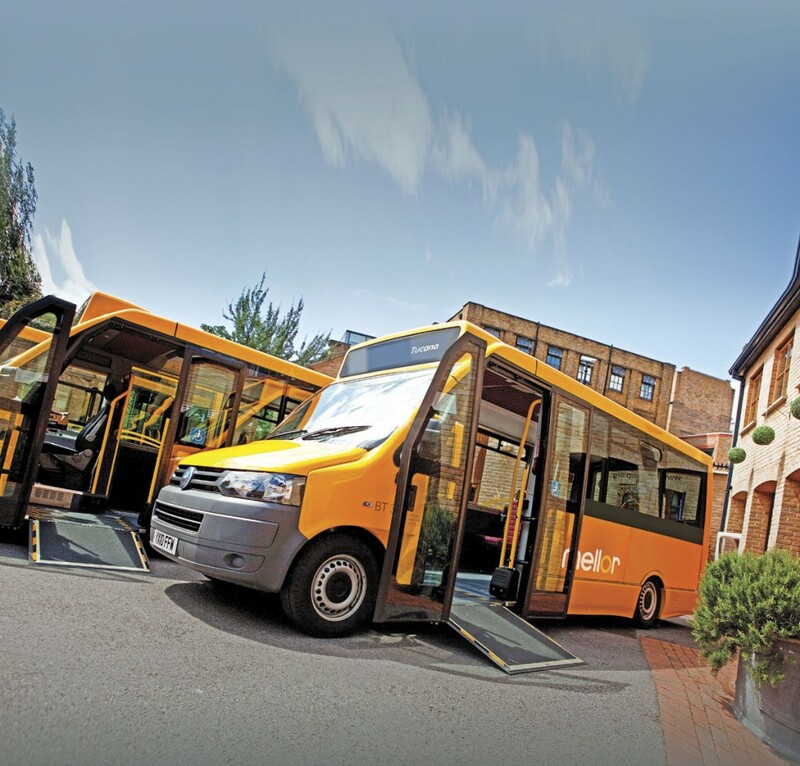 After selling Plaxton I first went down to Guildford where they had supply chain issues that were restricting the group and costing money and I sorted that over a seven month period. I became Chief Operating Officer working closely with Colin Robertson and started a lot of the design work, including a lot of Guildford based design work and product improvement work. SJ. What have you been doing since? BD. When I was offered an equity opportunity to run Crown Paints it was very difficult to turn down. It was losing £16m a year and within two and a half years we had it making £23m EBITDA. I then sold it for the investors who got roughly ten times their original investment. I stayed on as Chairman for a year. I was then asked by Barclays to turn round a gym business called Total Fitness. We’ve grown the customer base by 15% to 80,000 in 18 months. It was unprofitable but this year will make in excess of £4m. 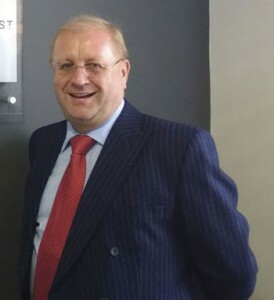 I was also a director of Fairline Boats, working as an advisor to RBS who subsequently sold the business in 2012. I’m Chairman of Fine Products which makes pharmaceuticals and crop protection products. I’m an equity holder. This year it will make a decent profit on sales of £47m. SJ. What attracted you to the Woodall Nicholson Group. BD. I got a call 18 months ago saying that Woodall Nicholson Group was up for sale. They were finding it difficult to raise debt. The business looked a bit unloved. It was run on a shoestring and there was under investment but it could do great things and had a good heritage and pedigree. I thought with the right investment it could be turned into a very good business and a bigger business. The people in it are fantastic with really good skills and a great attitude. 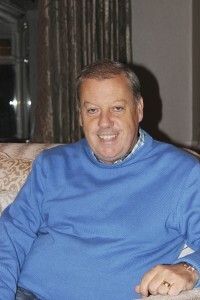 Guys like Steve Jones who has been with Mellor for more than 20 years. You don’t get guys like that every day. With fellow investors we acquired it on 17 July 2013. At the time turnover was £22m with about a 7% return on sales. This year it should be £29m with improved profitability. After becoming Chairman, I spent three months in the business working with Geoff Hudson improving production, procurement and financial processes. I was initially spending 3-4 days a week there, now it is probably a day a week but I’m on the phone every day. The enthusiasm we both have is phenomenal. For me, going into Woodall Nicholson is like another Plaxton. It’s what gets me up in the morning, working with people I want to work with. SJ. What is the structure of the Group? BD. There are three divisions: Coleman Milne, Mellor Coachcraft and CM Specialist Vehicles, the former Vancraft business which we have rebranded. In truth, Vancraft was originally treated as a bit of an add-on, but we saw the potential to turn it into a proper business in its own right. This year we will double the turnover to £4m. Next year we expect it to turn over £6m with further growth potential. Again we’re introducing the latest production techniques with new concept designs and full CAD which will deliver what we did years ago at ADL. We can order parts that are 3D modelled so the quality of van products is fully engineered not hand built any more. 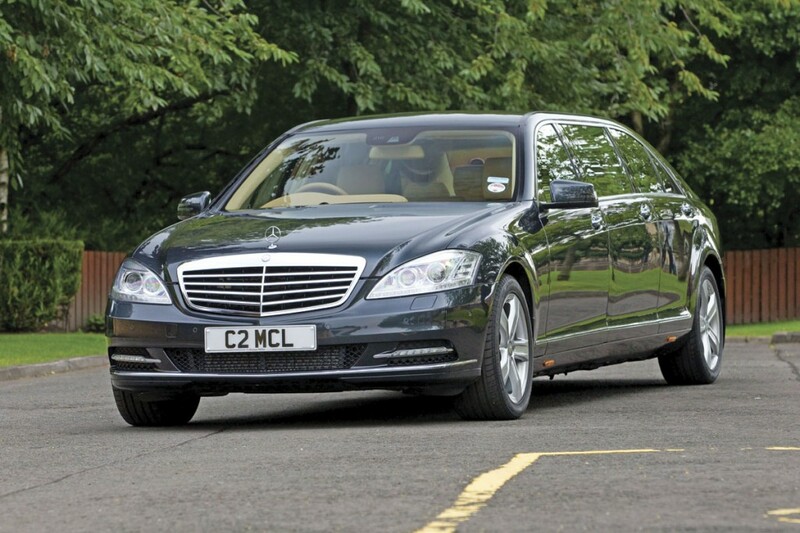 Coleman Milne manufactures funeral cars, hearses and limousines, primarily on Mercedes-Benz E and S Class and the Ford Fairlane, shortly to be followed by the new Ford Mondeo. We also build bespoke bodies on donor vehicles. If they want a Rolls Royce or a Bentley stretching, we provide a bespoke service. There are about 250 people employed in the group. Mellor has about 55 and it is growing with the new Technical Centre. CM Specialist Vehicles has nearly 40 and the rest are with Coleman Milne. Geoff Hudson has stepped up to the plate in a phenomenal way. Who says you can’t teach an old dog new tricks. He’s taken to lean manufacturing. He’s got great customer skills, he cares about customers, he’s got a real eye for detail and he’s a really good motivator. The business had been highly directive. Neil Crowther, the former MD, who was a great guy, had a direct but successful style. It was evident that the three directors played a very strong part in directing the business. We brought the team in and said to the ten young guys “you are running this business”. We passed responsibility to them, coached them, and that’s why the business is doing well. Hopefully we really appreciate what they are doing and are looking after them. It’s been fantastic to see how they’ve performed. Parallels with Tony Cheetham and Katherine Hills at Plaxton are extraordinary. SJ. What have you done since the acquisition? BD. Central to what we are doing is the customer journey. We weren’t happy initially with the processes around Mellor. By improving the quality of the processes, we’ve improved the quality of the product. We’ve physically knocked all the walls down in the interior of the Rochdale plant. We’ve had to move to modern production lines which might sound familiar. We’ve invested a lot of money in the facility and will continue to do so. We really could be doing with expanding with more space. Infrastructure costs there alone have been £100,000 and we’ve spent the same on process improvements, which is quite substantial relative to turnover. When we took over, Mellor was turning over around £7.5m. This year it will be over £8.5m, though we won’t see any benefit from the Orion and Tucana until the end of the year. SJ. What do you think can be done in the future? BD. Fundamental to our strategy is our customers. As an example, take one of our major funeral customers. We worked with him on improving the paint system, which in refinishing is notoriously difficult. We’ve gone through a very exacting 11 months of testing and a trial programme for introducing a new refinishing system for our cars. It’s totally aimed at trying to raise our quality and with it the bar for the industry. A lot of it parallels what we have done in the bus industry. It’s helping us take the business forward and improve production quality for the customer. SJ. How do you see the small bus market currently? BD. I think the small bus market is a difficult place to be and make money. It is heavily reliant on public spending and that includes both the transit and welfare sectors. At the moment we’ve got a very strong order book at Mellor and it is growing rapidly for Tucana and Orion. You do a lot to make money and I don’t see that changing, so you rely on the skill and ingenuity of your team and their ability to convert customer demand into designs and ultimately finished product with the best quality in the most economic manner. There are a lot of levers to pull and a lot of touch points to deliver that are unlike many more simple industries. It doesn’t get any easier, you’ve got to be committed to what you’re doing and enjoy it. SJ. What attracted you to Bluebird and how does that fit in? BD. Buying Bluebird assets and intellectual property was about acquiring a specific product line we didn’t have. Rob Millar did a very good and difficult job in developing a new brand in the business from a standing start. It’s a really difficult thing to do. We’d long admired the products and there are some really good people. It was an opportunity for us to grow our business and hopefully, when we grow the order book which is really happening now, we can preserve additional jobs in Scarborough. Rob Millar has a separate business called Bluebird Engineering Services that does sub contract work for Plaxton. They will continue to manufacture the vehicles to monocoque chassis stage on our behalf. Also, we’ve retained the Scarborough design and management team of four people. It was a strategic decision to improve our bus design capability going forward. They will continue to be based in Scarborough. They are 100% involved in reviewing and improving the design and quality of the Orion and Tucana. Two of the guys are working through all of the issues and making the product better for customers. We are going to achieve new levels of reliability with these products and enhance their capability. Under the Mellor umbrella I think the Orion and Tucana will flourish. SJ. Only this month you have made another acquisition. What was the motivation and what will it bring? BD. We’ve acquired the assets and intellectual property rights of Auto Electrical Services (AES) formerly based at Sale in Manchester but now to be located at our main facility Westhoughton in Lancashire. It produces bespoke electrical and bodywork solutions for the specialist vehicle sector, including blue light applications, but extends to other areas. It went into administration on 1 September and we acquired the assets and IP on Monday of this week (8th). Essentially, we rescued the business which was formerly loss making, which had been a concern to customers. We are now in the process of having extensive contact with many of them and sorting out their requirements. The key point is the assets and IP. It is very specialist electrical work that very few people can do. The business also designs and installs electronic systems. SJ. Do you envisage more acquisitions and what do you look for? BD. Yes we do. We’re looking for businesses with fundamentally good products, the capability to have a really good customer offering and that will fit very well within our existing group structure. There are acquisitions we are currently tracking that we would view as strategic acquisitions. AES and Bluebird both strategically fitted into our model ideally, though the acquisitions themselves were opportunistic. We wouldn’t have done it if they hadn’t have fitted. SJ. 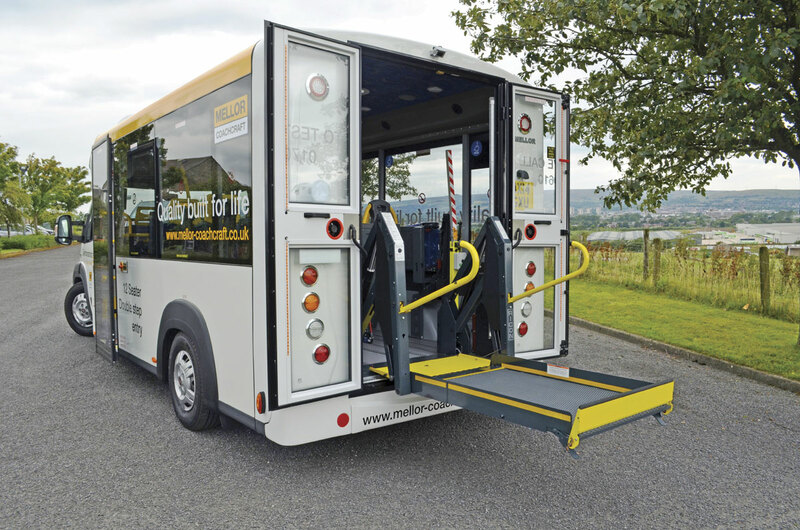 Could you see Mellor building full sized buses? BD. That is a very good question. We have a very advanced midibus design, however, the business has grown so much recently that in the short term we need to consolidate because in two years we have profitably grown from £22m to £40m revenue. We have an absolutely unique low floor midibus design with a prototype at a very advanced stage of construction, albeit we have slowed the development programme given the rapid developments elsewhere in the business. SJ. What is your sales strategy? BD. We don’t actually have one in the traditional sense. It’s what is our customer offering and how can we differentiate that so that the customer will come back to us? That’s our core strategy. We’re going to try. No business gets it right all of the time, but when you are on a trajectory the graph goes up then it goes down a bit then it goes back up again. It’s continuing that upward progression. It’s about what we give our customers and that’s what we try to improve. It’s great to be in a business that is privately owned and has great growth dynamics, great products and great people. We can determine what we want to do with this business without any corporate interference, which is great. SJ. Can you see Mellor selling abroad? BD. It would be great. The ability of UK manufacturers to do so has got easier. I was in Germany this week and it was interesting to see the change in the ratio of German to non-German vehicles across all vehicle types. Ten years ago as Chairman of Plaxton I used to argue about it being an uneven playing field, and when it comes to some contracts it probably still is, but when I look at what larger businesses like ADL have done it’s a source of inspiration, so never say never. That said, there’s a lot still to do on the home front. SJ. Will the operations stay on their current sites? BD. In truth, all of our sites are becoming a bit land locked. We’re not there yet. It’s a hot topic around the boardroom, but it’s great to be talking about expansion rather than contraction. SJ. What will you be doing about support? BD. Amongst smaller manufacturers the support package has been less bespoke. We’re one of the smaller operators with our own guys out on the road supporting the product in fully stocked company vans. We started that three months after acquiring the business. I guess it shows we are maybe becoming not such a small manufacturer any more. We’ve fully absorbed the former Bluebird supply chain already to provide a service to supply parts for the Orion and Tucana that, had we not got involved, may not have been there any more. SJ. As a Scot, what is your take on the independence debate? BD. My own view is that I think for the businesses we’ve got, and probably for all businesses in England and Scotland there’s a lot of cross border trading. In that respect it’s a bit of a diversion, unfortunately. Being a Scots-Irish person living in England I’d find it regrettable if separation leads to a breakdown in relationships because, as Robert Burns said, “We are all Jock Tamson’s bairns” meaning we are all of the same ilk. However, if the people of Scotland want to govern their own destiny, I think that this is manageable if the rest of the UK and Scotland preserve as many of the economic institutions we currently have for as long a time as possible. This would minimise medium and long term disruption, in the event that this is what is decided, but then maybe I’m a logical idealist. I can’t change it, I don’t get a vote! Why are we here, because we have a political establishment with some of the major leaders devoid of creditability and stature. People need leadership. I have no political leanings at all because I’m a pragmatist, I give credit where credit is due. I think George Osborne has done a phenomenal job to make so much economic progress in this country from such an entrenched position over the last four years. That said, the loss of intellectual heavyweights such as David Milliband has given us a cross party leadership vacuum. Allied to the increased concentration of wealth, in my view this is leading to the questions that are being asked in what should be one of the most stable countries in the world, the United Kingdom. I ask myself how have we got here? Any democracy needs a balance; checks and counter balances in the process and undoubtedly the crash, which will be known as ‘The Great Crash’ and the aftermath, and Government change has contributed to where we are now. How does this relate to business? Competition always raises the bar. In the political process, why has the turnout at elections reduced considerably in the last ten years – we need to raise the bar! I feel passionately about that. The country needs leadership and it’s not getting it. SJ. Brian Davidson, thank you very much.